Have removed the WiFi extender as seems to reach all rooms in the house. Writing this in the furthest room from the hub. Was easy to set up for my Plusnet account using supplied instructions. All good so far no drop outs. Improvement over my old hub 5. Range outdoors significantly better. My Logitech Squeezebox used to disconnect itself for some strange reason but has stopped doing this after the upgrade. Having said all this the Hub 5 is still an excellent hub and unless there are specific problems e.g. range or compatibility there is no reason o change. Bought this to replace a BT Hub 4 which hadn't failed but had become less reliable, slower speeds and frequent drop-outs. 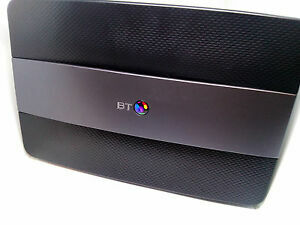 The BT Smart Hub 6 was a dramatic improvement. Much better speeds on regular broadband (ADSL), more reliable and no drop outs so far. Much recommended. Absolutely brilliant. Needed to replace one that tenants nicked. This one went straight in and connected right away. Delivery was good and even included tips on setup. Highly reccomended. Thanks.